American homeowners are in the midst of a love affair with low interest rates especially when it comes to home loans; however, not all courtships have happy endings. As the final days of 2012 slipped away, Lisa Price made her client an offer she thought he couldn’t refuse. Her client — we’ll call him John Doe — was paying a rate of 6.616% on his $435,000 mortgage, with 25 years left to go. Price, a mortgage banker for Quicken Loans, offered to refinance his loan at 4.125%, keeping the 25-year payout time. It’s typically pretty easy for mortgage brokers to give away money, and indeed, refinancing activity has skyrocketed as interest rates plummeted in recent years. The one group of homeowners who didn’t participate in the real estate refinance boom — those whose home prices tanked, leaving them without enough equity in their home to qualify for refinancing — are now eligible to restructure their loans thanks to a new government program. But as Quicken Loans and other mortgage originators have learned, it can be surprisingly difficult to persuade some of these people to take sweet deals like the one above, even when the government is greasing the skids. The first government assistance programs after the housing bubble burst offered to help homeowners only after they stopped paying their mortgages. But a later program — the Home Affordable Refinance Program (HARP) — was designed specifically to help out those underwater homeowners still paying their mortgages on time by giving them access to the low rates so many others are enjoying. HARP has been refined several times since its inception in 2010, and every version of the plan has made it easier for homeowners to qualify. But getting the word out hasn’t been easy. 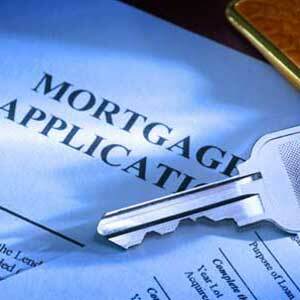 Quicken and other mortgage originators have aggressively tried to let homeowners who qualify know about the program. “We get their home number, the business number, their e-mail, we express-mail packages to their house so it looks serious,” says Dan Gilbert, founder and CEO of Quicken. “We leave messages; we tell them, ‘Go look up HARP on Google and you’ll see it’s real.’ We don’t quit.” And yet almost half of these homeowners don’t respond. “If you would have told me all the facts about how this works before, I would have predicted we’d get 80% to 85%,” Gilbert marvels. Ultimately, Quicken says, only about 25% of the homeowners who qualify for HARP actually end up refinancing. This is filed under National Markets.